Just a little girl when her father was taken prisoner of war, eight-year-old Poppy is elated to have him return home, only to lose him again to a supernatural phenomenon. The devastation grows when her mother becomes catatonic, unable to communicate and a local news station reports a bizarre series of murders. As Poppy grows older and shows interest in solving the riddle of her father’s disappearance, her grandmother is adamant that she stay out of harm’s way. Sent to a Seattle boarding school, Poppy almost finds a normal life, until as a young college coed, she comes across the lead investigator in the ‘crucifixion murders’, all of which seem to link back to her father’s disappearance. Brendan’s young and gorgeous and interested in Poppy. Better yet, he could be the key to finding her father. 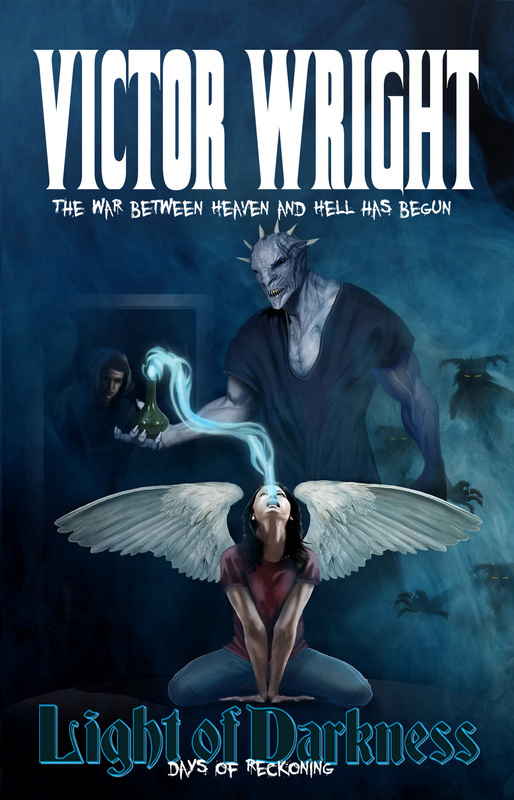 Poppy soon finds herself in a twisted reality where angels and demons exist, and the battle for Heaven and Hell is raging. Discovering her central position in all of this, she remains strong and focused, not caring about the danger to herself, even as she prepares to face Seribulous the son of Satan, desperate to save the souls of innocent angels on which he and his minions have been feeding. Danger lurks around every corner and Poppy, Brendan, and her family must band together with a united front to save themselves and to fight against evil incarnate.